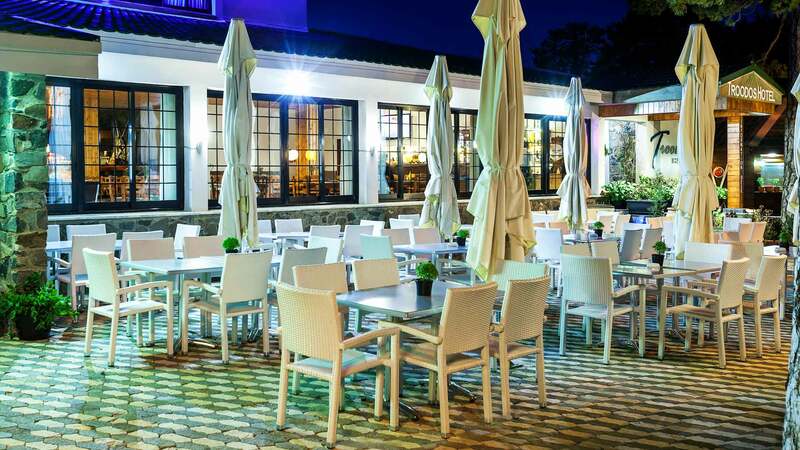 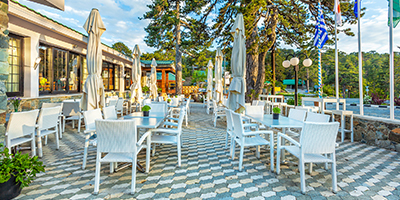 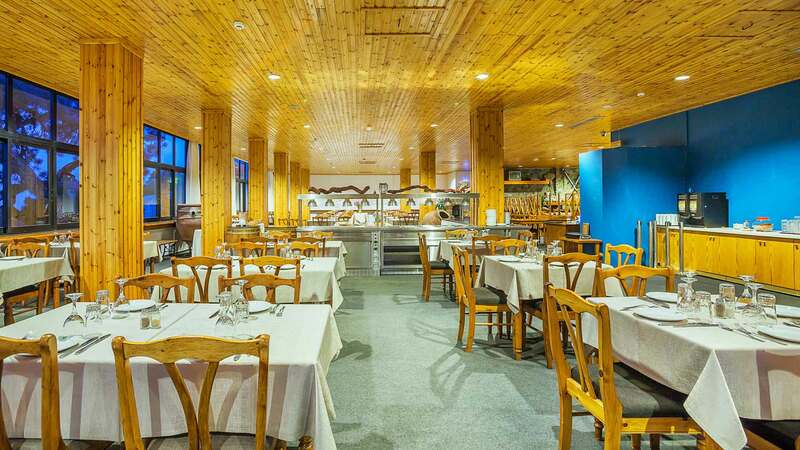 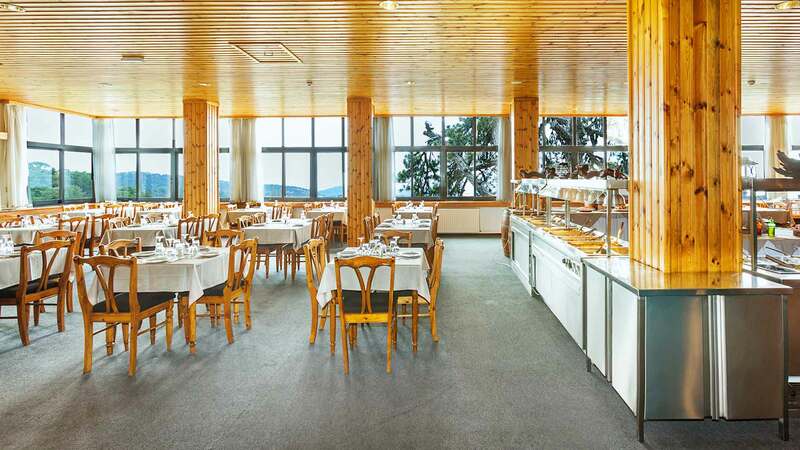 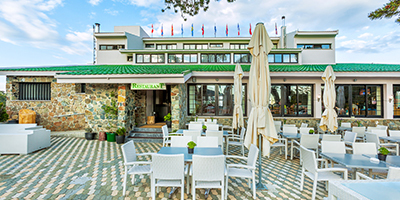 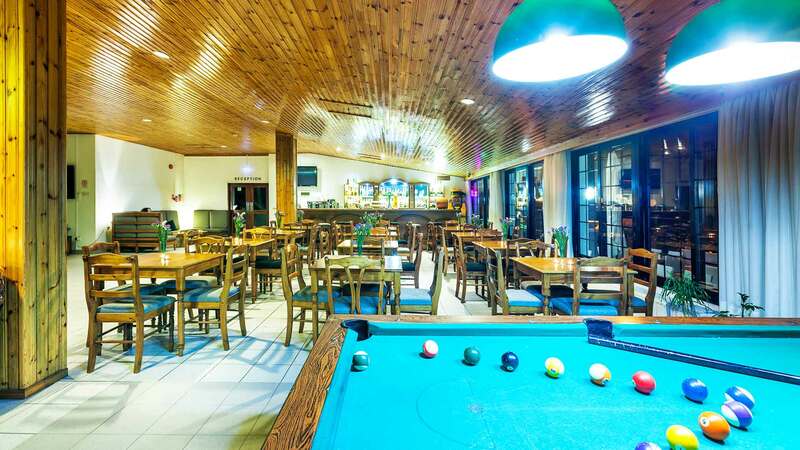 The Troodos Hotel has a spacious restaurant which is open every day. 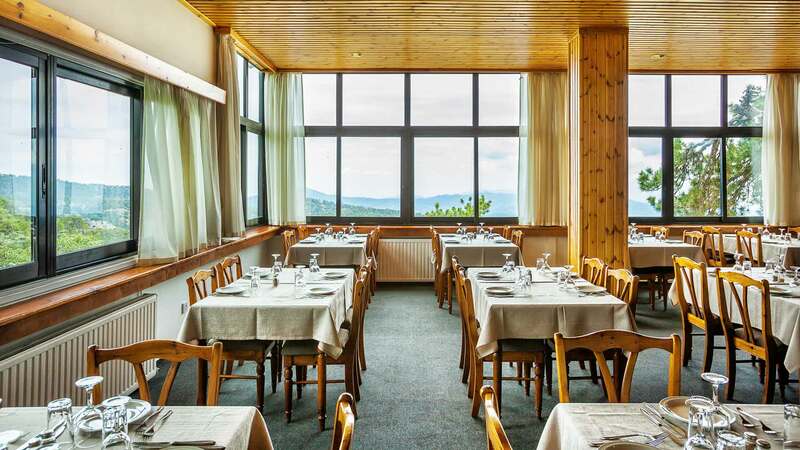 It is the perfect place to enjoy your food and relax as you drink with the panoramic views of the surrounding mountains. 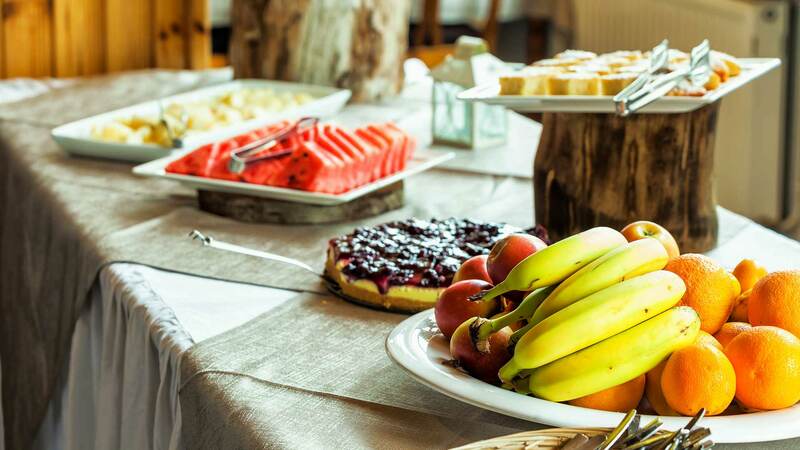 We also offer a takeaway service and we can prepare a snack for you to take with you when you go out, either before you set off or the evening before if you are planning a morning excursion. 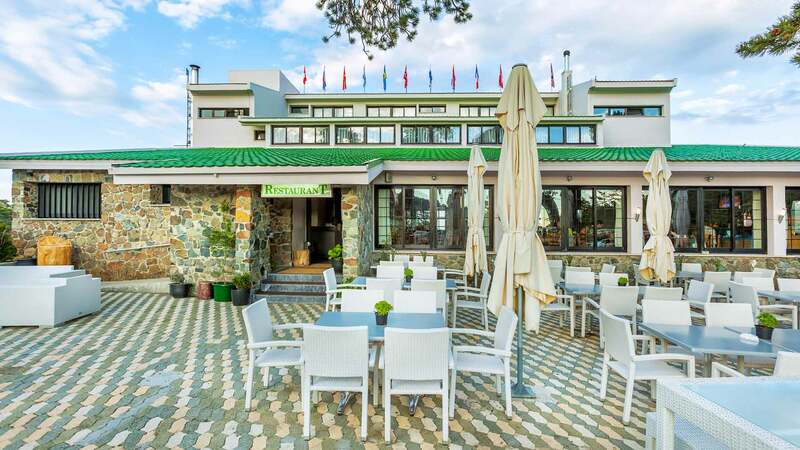 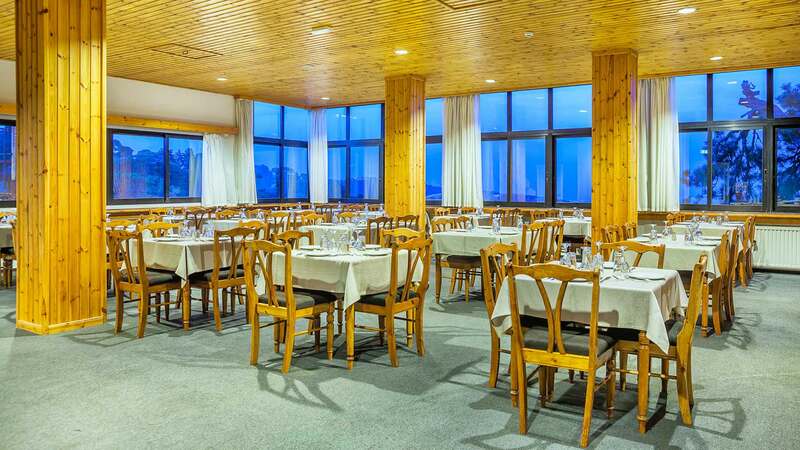 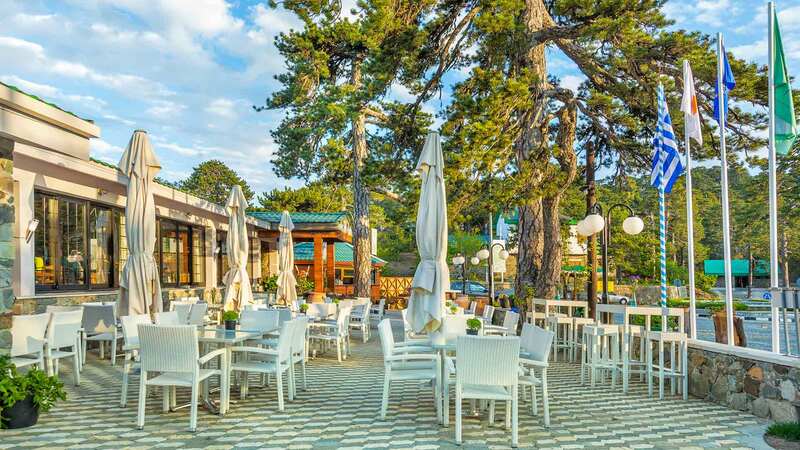 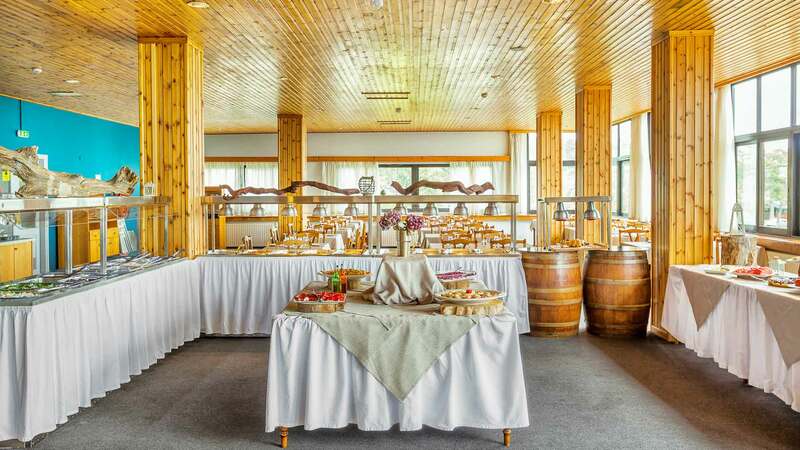 The Troodos hotel has a spacious restaurant whish is open every day, and gives you the opportunity to enjoy your food, with the view of the mountain bringing you calmness. 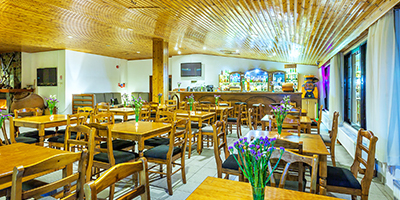 Its main area enables you to use it as a café, bar, restaurant or organize social events such as weddings, christenings, conferences etc. 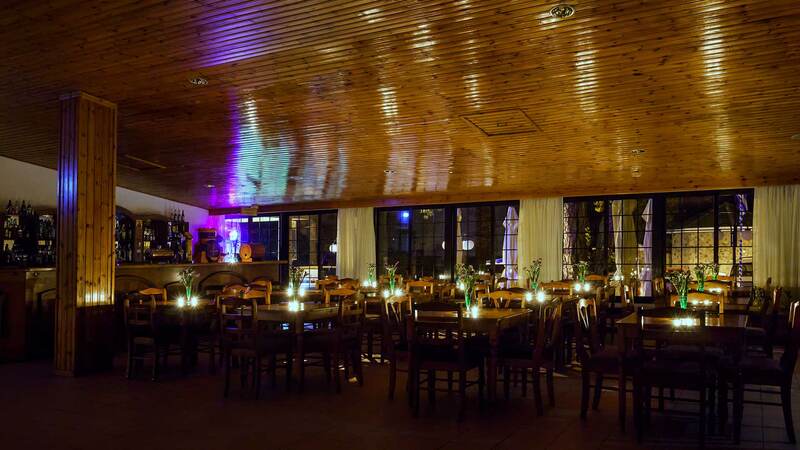 During the weekends it operates as a restaurant with buffet and often hosts musical events for entertainment. 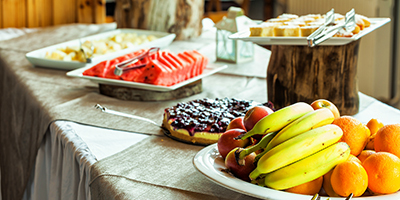 Also you can take advantage of the takeaway service, by asking us to prepare a snack to take with you before you go somewhere or the day before if you are planning a morning excursion. 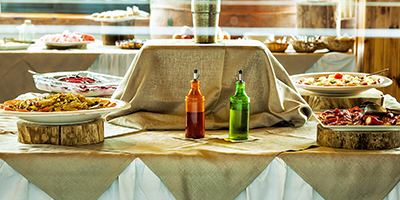 Every Saturday and Sunday, or at other times by request if you want to hold a function, our kitchen will prepare a full buffet meal with a selection of both homely and sophisticated recipes. 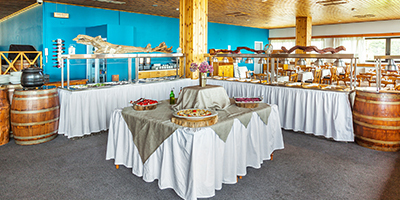 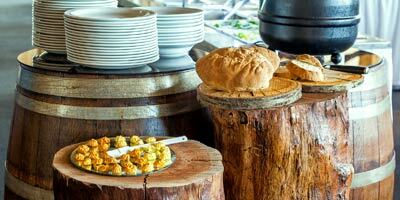 If you are organising a function we can tailor the buffet to meet your tastes. 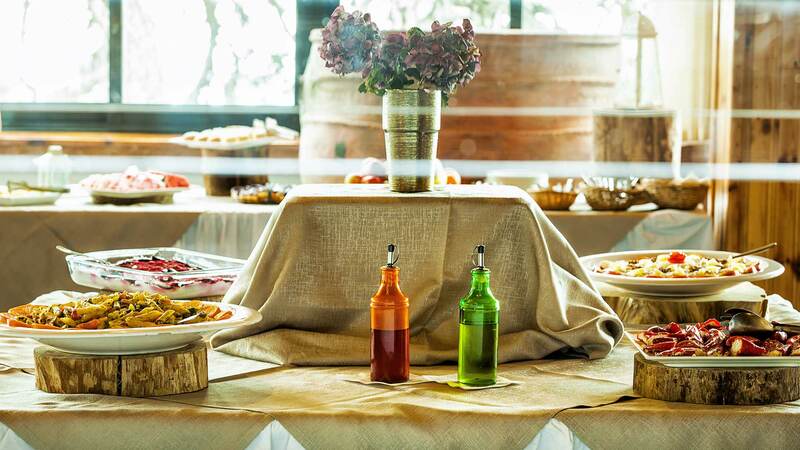 Always at your appetites service! 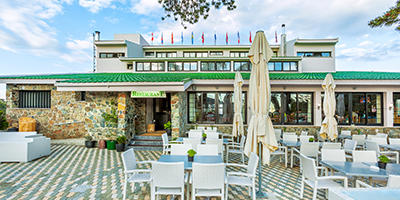 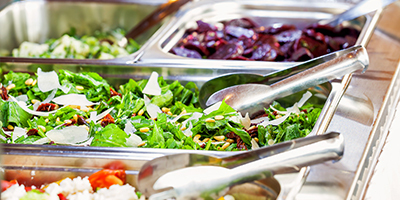 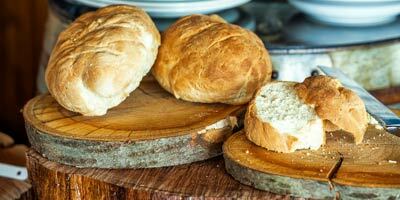 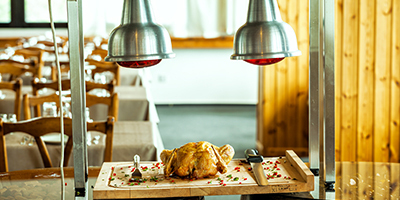 The Troodos Hotel kitchen is open daily from 07.00 to 22.00, giving you the option to eat whenever it suits you. 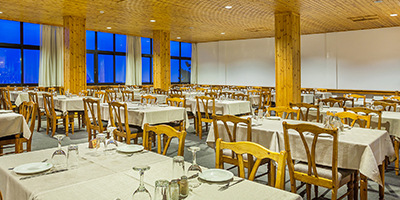 You can choose from a full menu and can either enjoy your food in the restaurant itself or ask room service to take your food directly to your room. 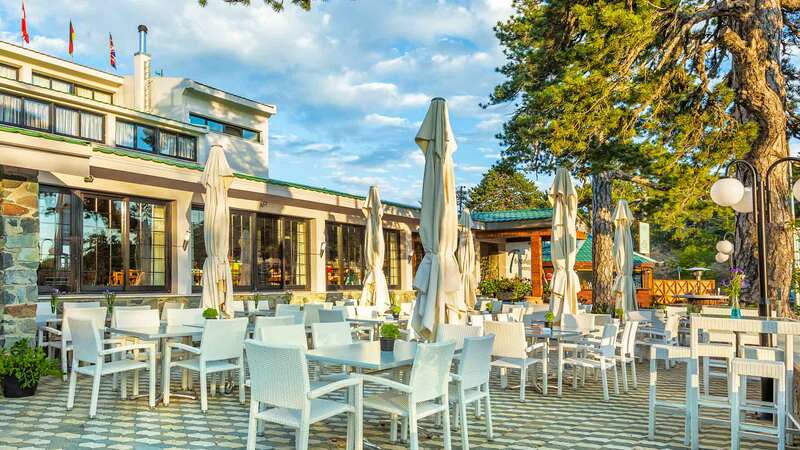 On sunny spring days or during the hot summer months you can enjoy your coffee or food surrounded by the beauty of nature in the hotel’s open air café/restaurant. 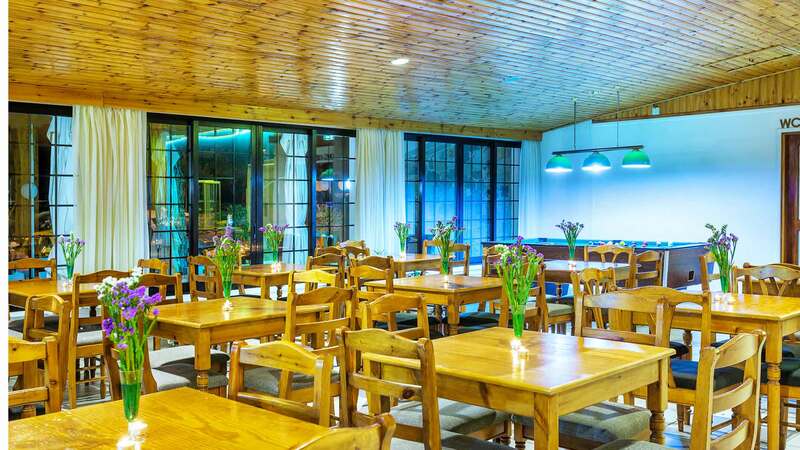 As you enjoy the views over the mountains and into the heart of the forest, you can order the best food and drink from our kitchen and snack bar and feel your troubles melt away as you relax and breath in the fresh mountain air. 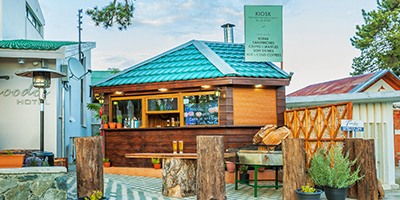 Barbeque ... From the grill straight to your plate! 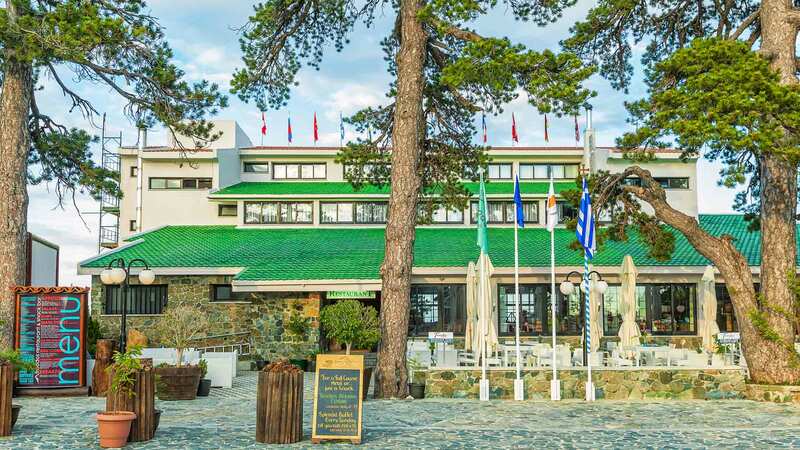 At the Troodos Hotel we believe in maintaining certain traditions, such as barbeques where everyone can get together and have fun. 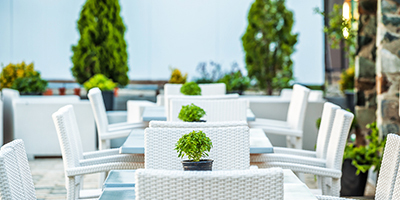 So we have created a specially designed outdoor area where we can all enjoy the grilled food. 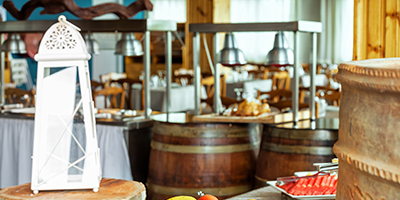 Every Sunday, or at other times on request, we have a barbeque with traditional meat - served from the grill straight to your plate - along with other snacks from our kitchen. 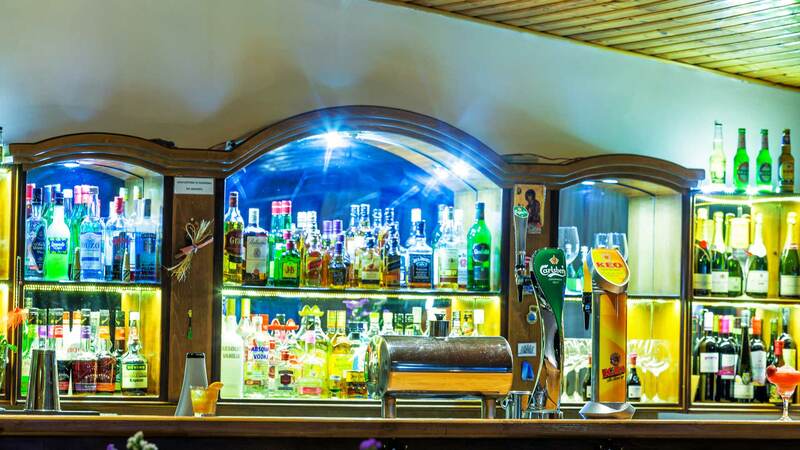 We care about you, wherever you are! 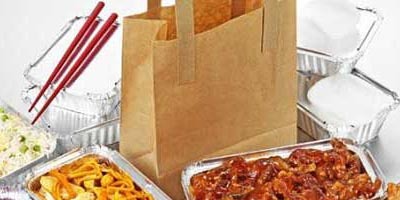 If you are getting ready to set out exploring, or to go on an excursion or a picnic, you will be delighted with our takeaway service. 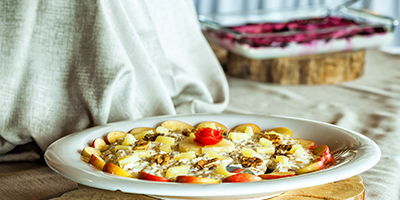 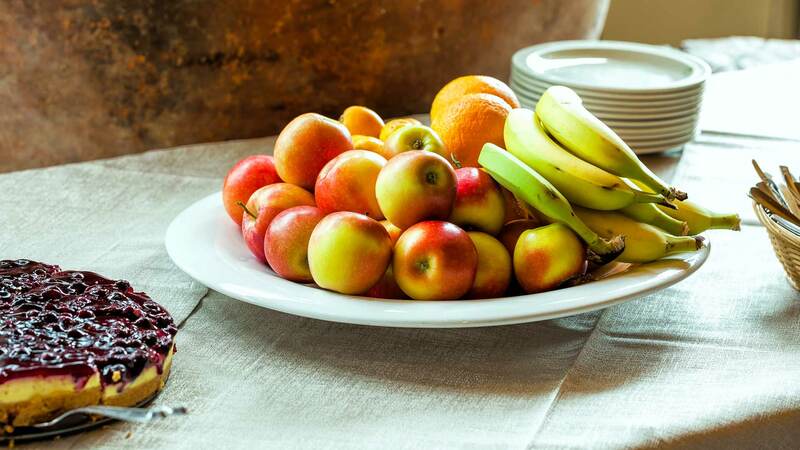 Either on the day you set off, or on the day before, ask us to prepare you a takeaway snack or meal (to your own taste) with fruit or sweets and drinks. 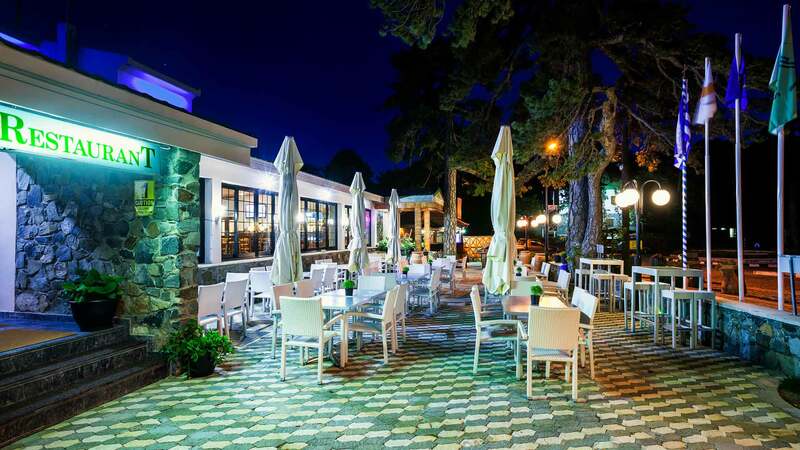 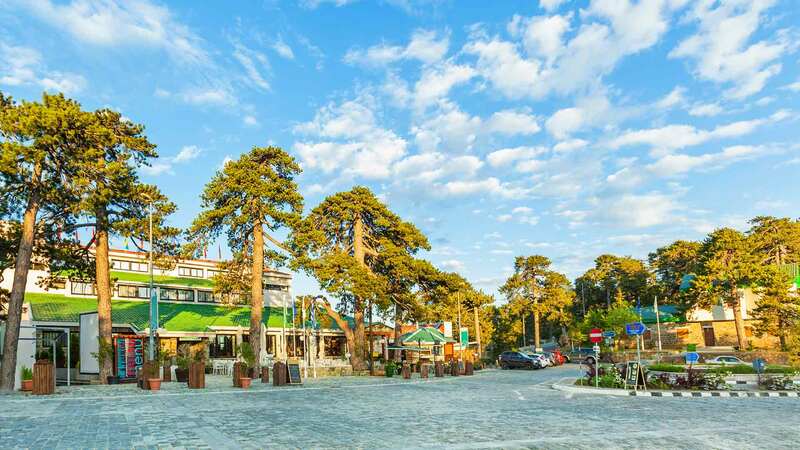 With the heart of the Troodos Forest being just a short distance from the hotel, in no time at all you can be enjoying your food in the open air with that wonderful sense of being at one with nature. 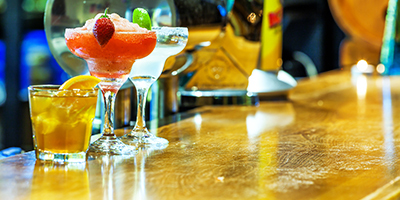 Beverages and drinks, served with style! 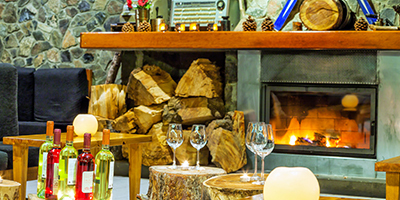 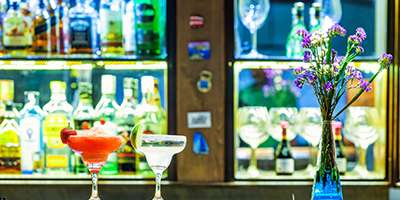 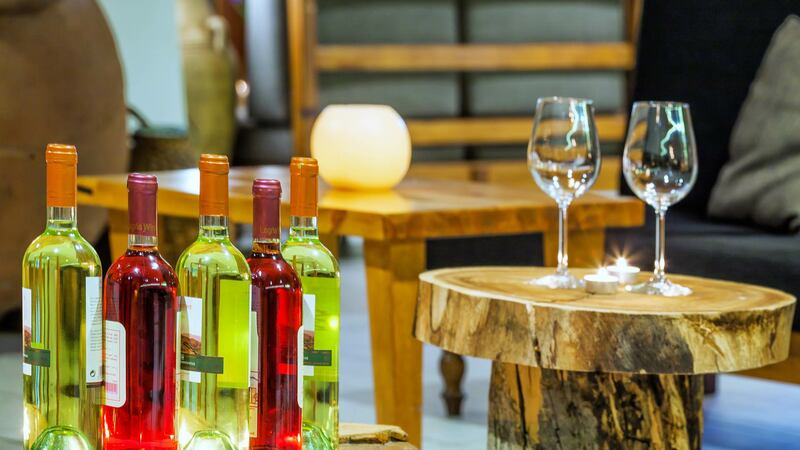 In the evening in company with the warmth of the fireplace and hanging out with the wild beauty of the mountain you can enjoy a drink or a cocktail from the shapely cocktails served by our bar. 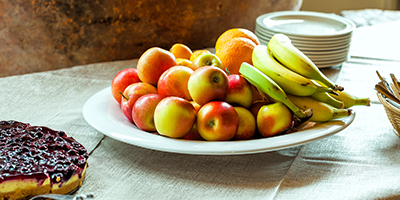 If you are a morning character, ask us to make a hot or cold beverage for you accompanied with a snack to start your day right.